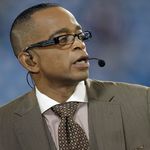 Stuart Scott, the longtime "SportsCenter" anchor and ESPN personality known for his enthusiasm and ubiquity, died Sunday. He was 49. 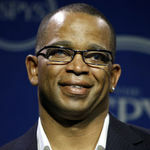 Scott had fought cancer since a diagnosis in late 2007, the cable TV sports network said, but remained dedicated to his craft even as he underwent chemotherapy, radiation and surgery. Add your thoughts, prayers or a condolence to Stuart's guestbook. "My deepest condolences to stuart's family. 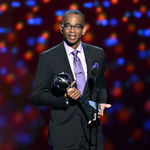 I've always been a fan of his commentating and his seemingly great spirit. May you find strength this day to the next day...and have faith in God your comforter for this life"
"Gone,will always be remembered.May your soul rest in peace Stuart.Love and miss you man."